Kim Gottschall is currently living in Alabama, working as an Owner in "KJ Enterprises" and is interested in Consulting, Marketing. I love working my home business and sharing my success with other. I am searching for people serious about starting a home business because I spend a lot of time helping others. 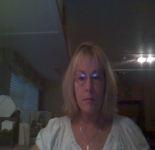 This profile is owned by Kim Gottschall. Send a message to this person to delete this profile.